A conversation I had with one of our academic coaches several weeks ago has really stuck with me. 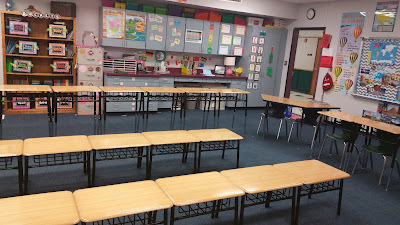 I had asked her what some of the best things she has seen in classrooms this year and she told me about an elementary teacher who tiered her desks. I had read about this idea and seen in on Pinterest so many times, I was excited to hear about a teacher in my district doing it. 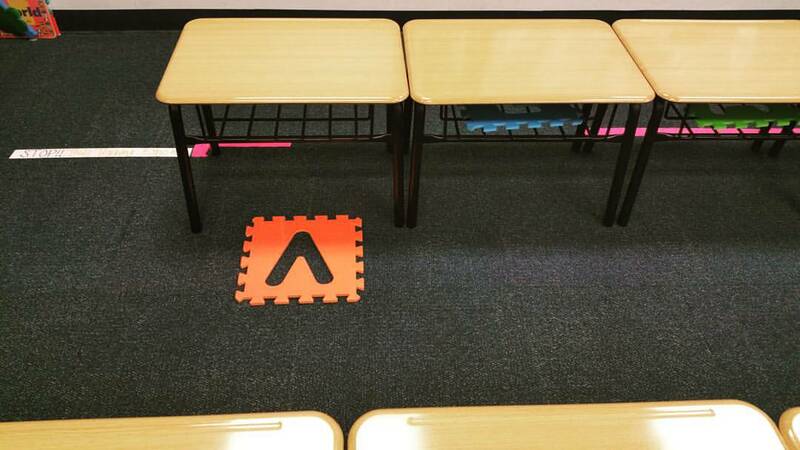 This teacher surveyed her students to see how they learn best: on the floor, sitting at a desk, or standing up. 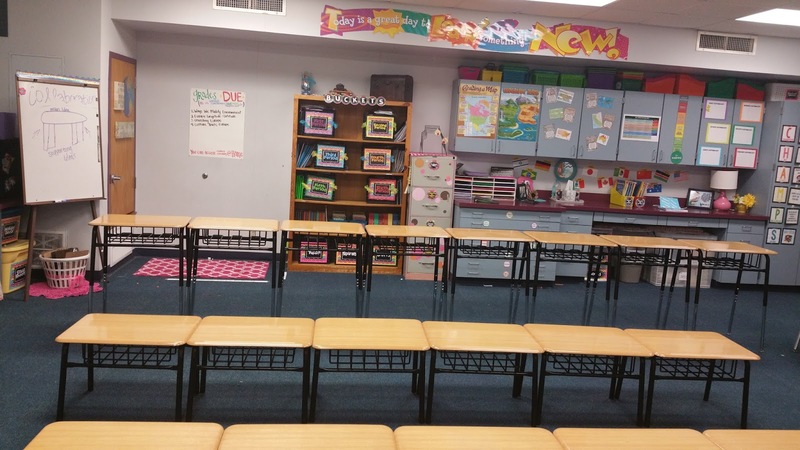 She then took that information and altered her desks to meet her kiddos learning style. how would that look for 6th grade? I teach 6 classes, I can't please them all... what if one class has 3 students that want to sit on the floor and another has 12 that want to sit on the floor. 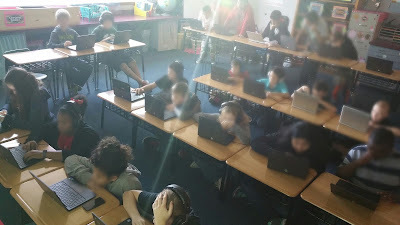 After watching some of my kids in each class choose to work standing up at the back counter while others always move to the floor to sprawl out, I finally decided to take a chance and just ask my 160+ students how they learn best. The overwhelming majority said they would rather sit on the floor. 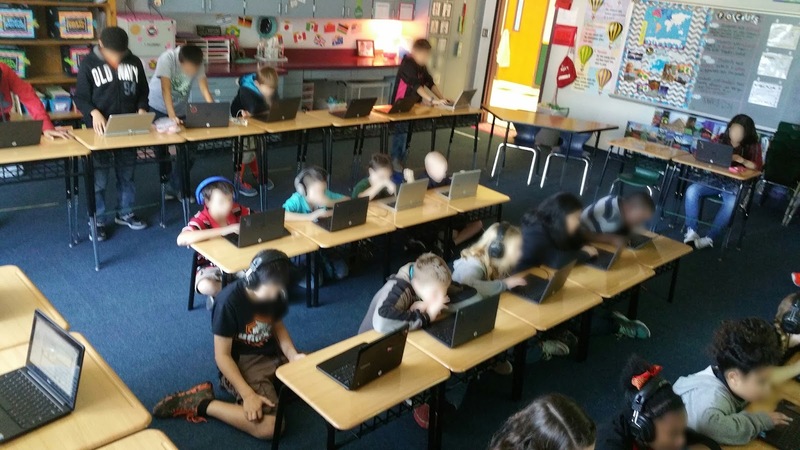 Amazingly enough, 8-10 kids from each class said they would rather stand up and only 4 or less students from each class said they like sitting at a desk. 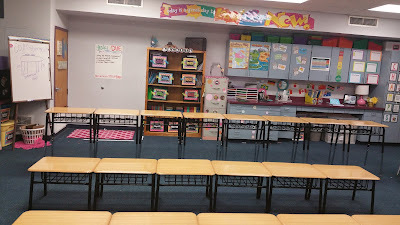 During my conference I dashed home to get my hubby's drill, a few screwdrivers and back to school I came to get to work. 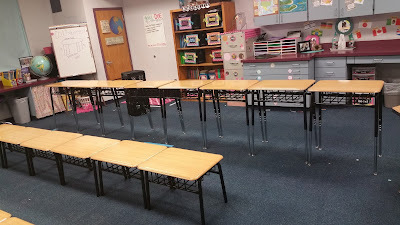 I enlisted the help of a couple of men on my campus to help me right away (you could say I am a little bit crazy eager) and then finished up the desks after school when I bossed asked my hubby to come help. What we did was remove the legs off most the desks so it would make the perfect lap desk, while raising the legs of 8 other desks to make it the idea standing height. I left 2 desks and a table normal height so 4 people could sit down. 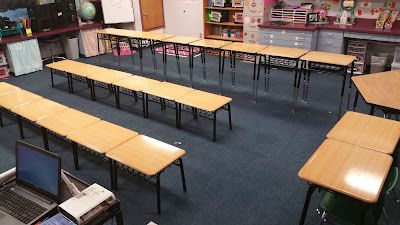 I have a row of 8 desks standing up in the back. 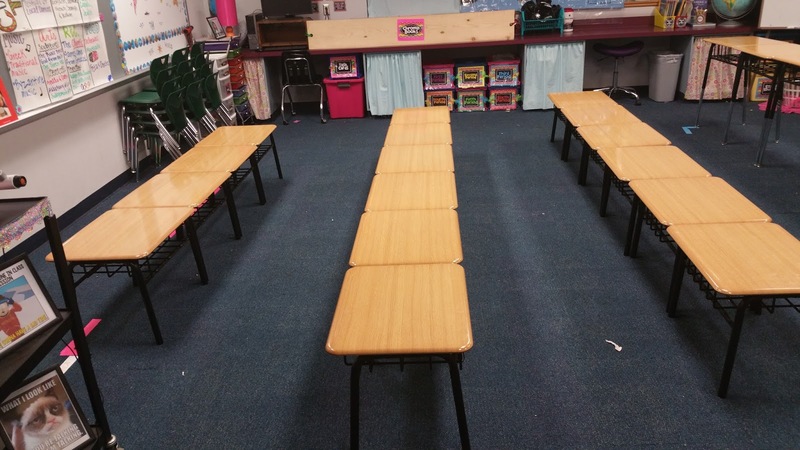 I had some desks already lowered on the ground for our collaboration today and the kids LOVED it. Many of the ones who said they would rather sit or stand changed their minds to sitting on the floor. I really think it will be a great success since it is how THEY LEARN BEST. 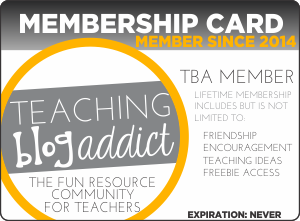 Moral of this blog: Don't be afraid to try something that seems elementary just because you are teaching older students. Best practice is just best practice. No matter the age. I encourage you all to try the same! Adjusting your classroom to meet your kiddo's learning styles could be as simple as removing some desk legs or raising them up higher. The students LOVED it. I even allowed them to choose their own seats, and we had zero issues... which is shocking since this was the day before we got for our Thanksgiving break!! 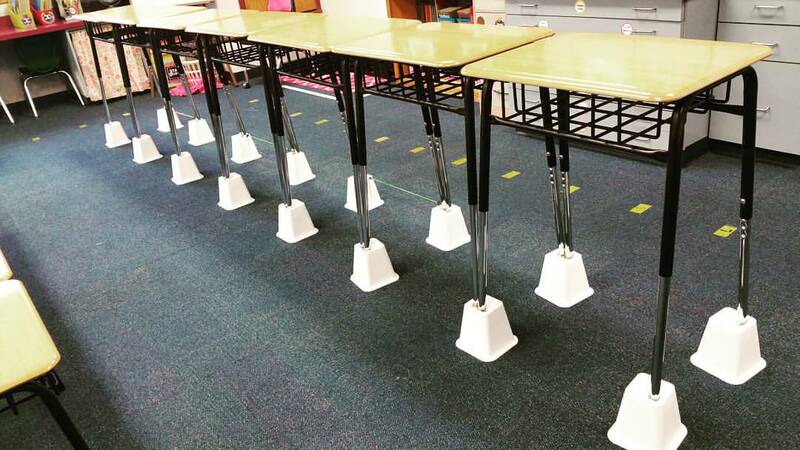 Are the desks secured to the bed risers? Were they sturdy? I can't imagine my district allowing this...just curious though! This is awesome! Thankyou for sharing! How doyoukeep the desks from slipping off the risers? The bed risers have a pretty big lip going up (to keep the bed from slipping off) so, I didn't have any issues. This is excellent! I'm writing an article about flexible seating for the teachers that I support, would you mind if I used some of your pictures as a example? 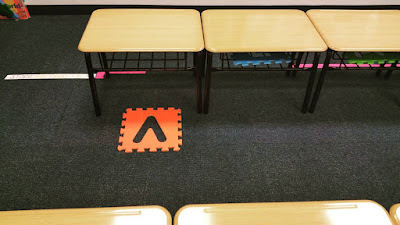 Love the bed riser idea to share with teachers at my school.